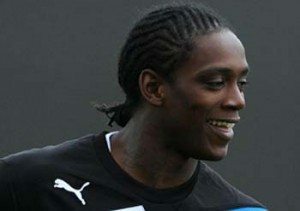 Nile Ranger Even Late For Disciplinary Meeting! Reports today that Nile Ranger was even late to a disciplinary meeting called to discuss his behaviour in conjunction with the PFA. Now Ranger has been handed a final written warning by Newcastle United and not before time. “This guy is late so often it is unbelievable. He will not get back into the team unless he has a period of six weeks where he isn’t late. I don’t think it is going to happen”. At the time we questioned why Newcastle didn’t give him a final warning and then sack him if his behaviour continued. Many of you queried whether Ranger could be ‘sacked’ because of his behaviour but as has become clear he is just like you and me (though I doubt Nile would agree with that…), repeatedly turning up late for any job is surely something that eventually will be a sackable offence if that behaviour continues. The only real difference between a football player and us is that they are an asset that could potentially be sold but in Ranger’s situation, surely the club must be better off cutting their losses very shortly, if they have a solid case for sacking him. Today in The Journal it is also reported that even Ranger’s agent has dropped him, deciding not to renew the contract. Out injured at the minute, the signs aren’t looking too good of an about turn by the player, at around 9am on Monday Nile tweeted, “I’d pay good money to stay in bed this morning”. This definitely falls into the category of…you just couldn’t make it up.